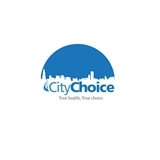 CityChoice Medical & Diagnostics (Glendale) - Book Appointment Online! In the field of Diagnostic Testing for ten years. Founded in 2010 with the goal of bringing high-quality medical imaging to doctors' offices and other medical facilities throughout the New York City tri-state area. CityChoice is committed to providing high quality diagnostic testing services to our patients and clients, with a team of registered technologists for all modalities, along with the consulting services of a board-certified cardiologist/radiologist. CityChoice offers a wide range of in house, mobile and home based services to immobile patients providing the best care possible with our certified medical staff and technologists at the comfort of their own home.